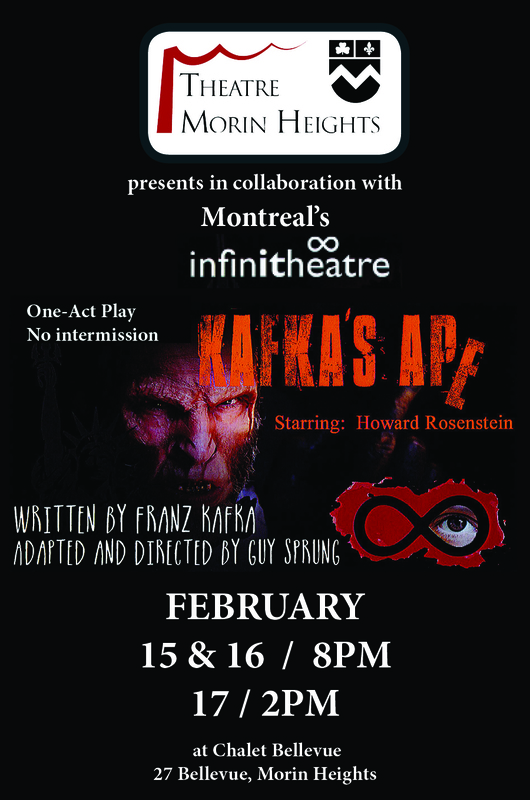 Theatre Morin Heights extends a big note of appreciation to Montreal’s Infinitheatre for three fabulous performances of “Kafka’s Ape” presented on February 15, 16 and 17. What a treat to have this kind of intimate, thought-provoking theatre come to our doorstep here in Morin Heights. Howard Rosenstein’s performance as Redpeter, the ape/human, was a spellbinding, energetic tour-de-force that delighted our dedicated audiences. On Saturday attendees enjoyed the added bonus of a short Q&A with director Guy Sprung. BRAVO! Captured on the Gold Coast and imprisoned in a cage, Redpeter's only escape route is to become a walking, talking, spitting, hard-drinking member of the Peace Industry, the entrepreneurial world of mercenary soldiers that is one of the biggest growth industries of the 21st century. In exploring this world fuelled by bloodlust and alcohol in a keynote address to “We, the Assembled Shareholders” at Graywater’s annual general meeting, Redpeter examines his enforced evolution from Apehood to Humanhood and discovers that he is more animal now than he ever was as an ape. Based on Franz Kafka’s Ein Bericht für eine Akademie, first published one hundred years ago in 1917, Guy Sprung’s adaptation titled Kafka’s Ape makes this classic tale of freedom, power and alienation an American story of our time. 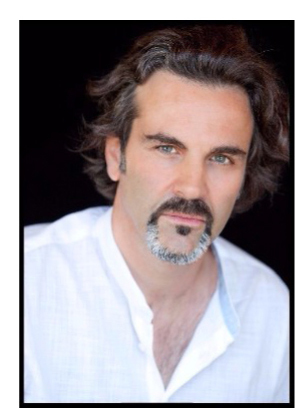 Howard Rosenstein, performing as Redpeter in this one-man show, elevates this story into a theatrical tour de force.